Welcome to the G.M.C.C. website. Here you can find all the information you will need to start racing a model R/C car and muchmore. 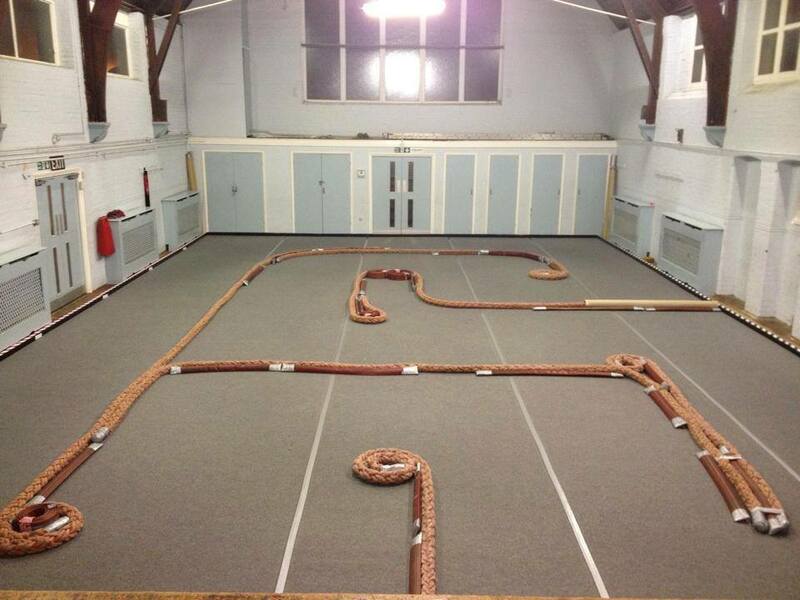 Vine Church Hall is where we are located and race 1/10 Touring Cars, GT12/10 and M Rage. We race on the 1st and 3rd Wednesday night of each month from 6.45pm until 10.30pm. This is in Holstock Road which is off of Ilford High Road, Essex. Holstock Road is opposite the McDonalds on the opposite corner and has a KFC at the beginning of the road so it is easy to find, just follow your nose. The local transport links are very good with Ilford mainline Train Station just a 5 minute walk away if you are traveling by foot. We race on Prima Felt GT carpet and use thick roping for track markings so damage is extremly low compaired to trunking track markings. Masking tape is used to join the carpets together as we have found over the years this is the best method by far. Most drivers use 17.5 Blinky motors but 13.5 Blinky are welcome as well. The most commonly used tyres are Sorex 28RK. Practice is available once the track is laid out. We always have at least 3 Rounds of qualifying and 1 Final for everyone and race for 5 minutes. Tables, Chairs and Power is supplied so no need to bring your own. We have toilet facilities as well which will be refurbished this year for disabled access. Race Fees are: £10 for Adults and £6 for under 12's. Vine church hall is where we race which is in Holstock Road which is off of Ilford High Road. There is a Pizza Hut on the corner of Holstock Road and a McDonalds on the opposite corner so it is easy to find, just follow your nose. The local transport links are very good with Ilford mainline train staion just a 5 minute walk away. CLICK HERE for a map of the Ilford area and club location. The hall is where the pink pointer with a black dot in the middle is.